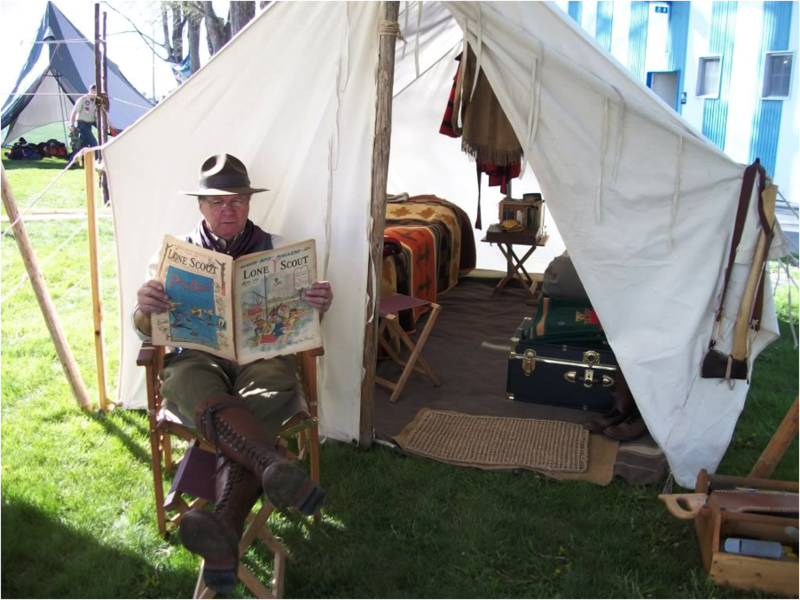 Classic Camping is a modern-day reflection of the Golden Age of Camping – between the years 1880 and 1930 – a time when the traditions of the frontier – skills from the land – and modern technology clashed, creating a fertile time and attitude for society to redefine it’s need for reconnecting to the land by mastering skills and techniques, as well as utilizing simple technologies and crafts that provided them access and a return to the sylvan life. A Time – It’s a time to re-create. The simple point of camping was to camp well – with style. It’s a time when the traditions of the past were still accessible and mentors were available to teach the skills and guide the mastery of the crafts. 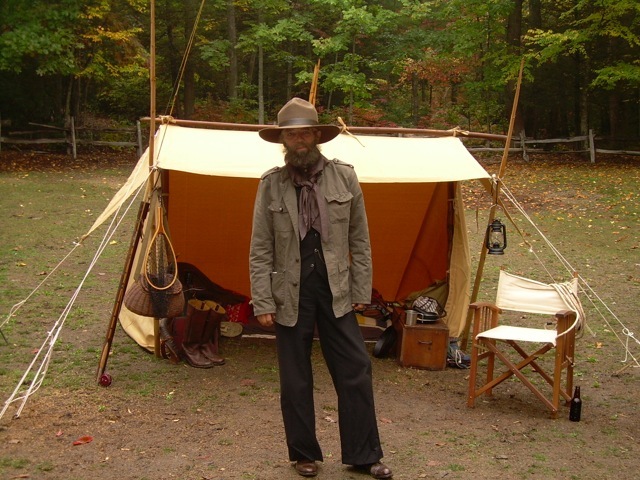 It was a time when camping wasn’t needed just to meet other ends – prospecting, exploring, war, etc. – it was the first time camping was undertaken for the simple joy of being in the outdoors in the woodsmoke. Place – Our modern view of the outdoors is through a set of eyes that sees everything the same. The eyes of the classic camper see patterns, variety, and magic. The wild outdoors is full of lessons to be learned on it’s terms. When we separate ourselves from place, we lose a part of ourselves. The skills of the classic camper require a connection to place in order to survive. Gear – There is no denying it – Classic Campers are gear heads; it’s just that we choose to be obsessed with gear from a certain period of time. 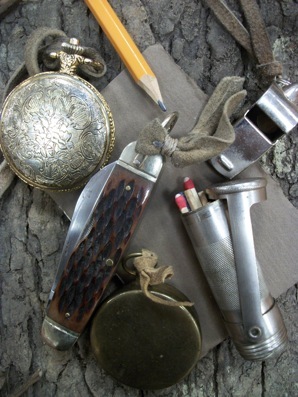 Outdoorsmen have always been seduced by new invention. Clothing is a part of our gear choice – it is shelter. Gear that forces us to apply technique as well as embrace the land enhances rather than impedes our return to it. Nostalgic – Lots of people won’t admit it, but a good dose of nostalgia is fun. Hearkening back to days when we camped as kids, read books that made us dream, and made things that connected our hands to our heads and hearts. It was a fine time. The glow of the oil lamp, the smell of canvas, leather and smoke, the taste of food cooked over an open fire are all keys to living back. WoodsmokeUSA is the program sponsor for this theme camp. Financial sponsorship is also available. Please contact us if you are interested.